The news broke today that USV, along with many of our friends in the tech/startup/VC sector, has invested in CryptoKitties. Well it's a cute digital kitten. 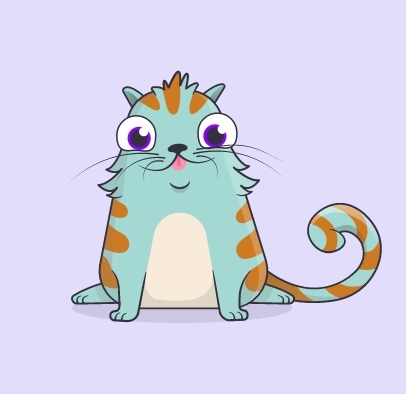 But beyond that, a CryptoKitty is a "non fungible digital asset" which means it is a piece of digital content that is unique, has a fixed number, and that someone can own, buy, sell, trade, etc. CryptoKitties was built on a standard for non-fungible tokens on top of Ethereum called ERC-721 which was originally authored by the CryptoKitties team. At USV, we think digital collectibles is one of many amazing things that blockchains enable that literally could not be done before this technology emerged. We also think digital collectibles and all of the games they enable will be one of the first, if not the first, big consumer use cases for blockchain technologies. We don't have much more to say about this investment right now. But we do have a lot more to say about it over time. So stay tuned for more from USV on this investment and the digital collectibles sector.